Cahill services both residential and commercial customers in the greater North Shore area. If your company needs a repair on your HVAC system or a complete replacement, our NATE-certified technicians can help. No matter the size of your company, we are dedicated to ensuring your employees are comfortable throughout the year. We have a wide selection of products guaranteed to meet your needs. We carry items from top brands such as Trane, Honeywell, Lennox, and more. 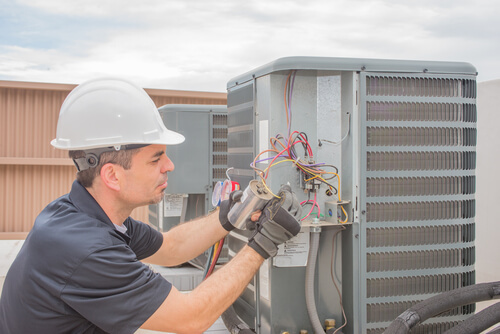 At Cahill, we believe that our customers should have high-quality HVAC services without the high-end price tag. That’s why we offer financing to help you find the right unit for your needs. Additionally, we offer 24/7 emergency services – your business team will never go without heat or air conditioning when you choose Cahill. Contact us today to learn more about our commercial HVAC services. Give us a call or fill out our contact form.